For use with FASTPATCH EJC, CT, & POLYPRIME 1:1 Ratio 600mL Dual Cartridge products. Aluminum air cylinder is 4" in diameter. 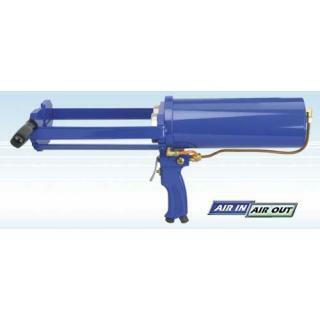 Has "air in" and "air out." This provides power forward and power reverse for ease of operation. Supplied with built in air regulator at base of handle. Comes with interchangeable side handle for added stability. 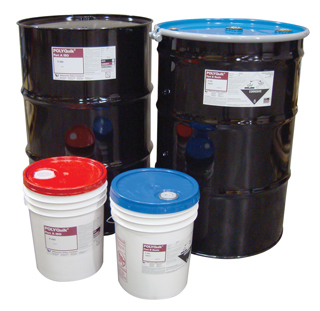 There is no Material Safety Data Sheet (MSDS) regarding the risks and safe use of this product. MANUFACTURERS LIMITED WARRANTY. See Manufacturers literature for details. To quickly preview an accurate shipping quote for your order, including quantity discounts, add all of your selected item(s) to your Shopping Cart, enter your Zip Code into the form and click the Get Quotes button.